With a population of more than 24 million, Shanghai is China’s largest and most developed metropolis. First it began its rise in the early 20th century, and it is today one of the world’s most important and powerful cities ever since. 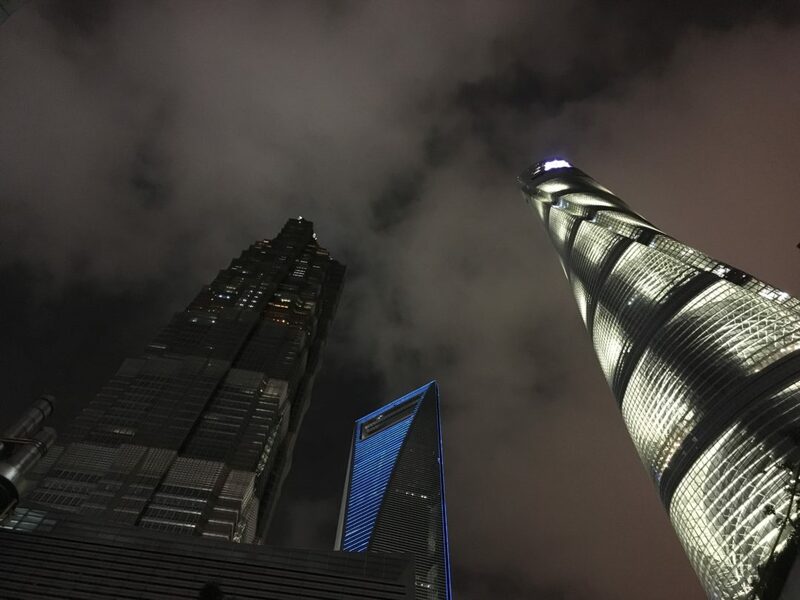 Shanghai is a booming financial capital, international metropolis, and the new New York. It’s a breathtaking assault on all the senses. 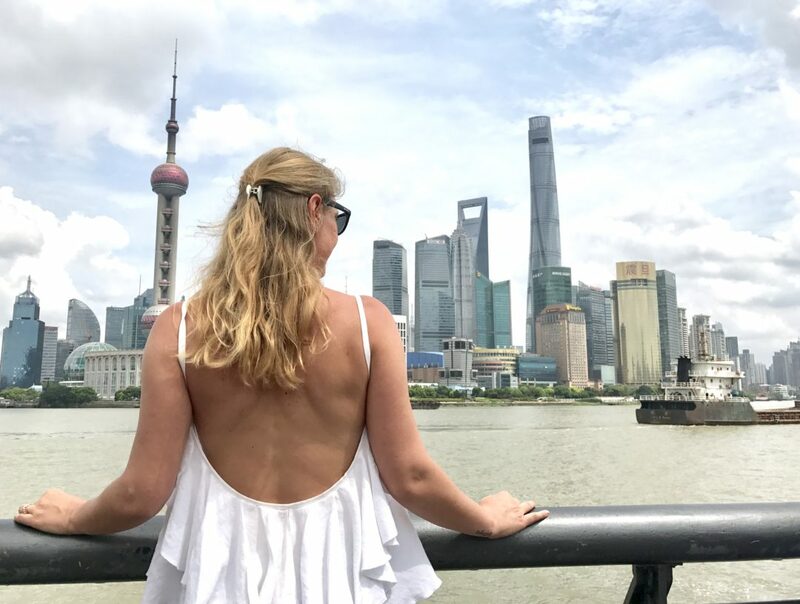 Whether you are visiting Shanghai for business or pleasure, this travel guide can help you handle things more easily. Shanghai is China’s largest and richest city. So for sure, you have many things to discover and enjoy. It easily rivals New York and Paris in terms of modernity. It is a mixture of Eastern and Western Cultures. Shanghai was a huge colony and this thing can be seen even today. Easy access to other important cities in China. Having a strategic position in middle China, from Shanghai it is easy to travel to Xian to see the Terracotta Army or up to Beijing to see the Forbidden City and the Great Wall of China, or to Guilin to see the beautiful landscape. The best times to visit Shanghai are March-May and September–November when the weather is pleasant. Shanghai has a 144-hour visa-free transit policy for international passengers since January 30, 2016. This free-visa includes Jiangsu and Zhejiang regions. This means that you can enjoy 6 days in Shanghai, Hangzhou and Nanjing without any visa. 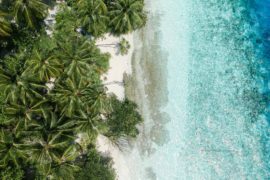 This policy is applied for travelers arriving by plane, boat or train. 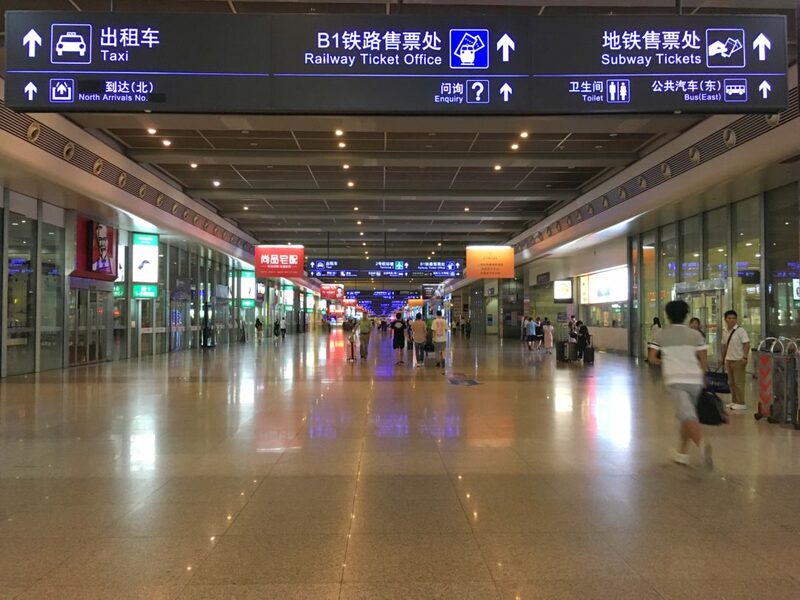 Shanghai has two main airports: Pudong – the main international airport and Hongqiao serving mostly for domestic flights. Transfer between the two takes about 1 hour by taxi. There are also direct shuttle buses. 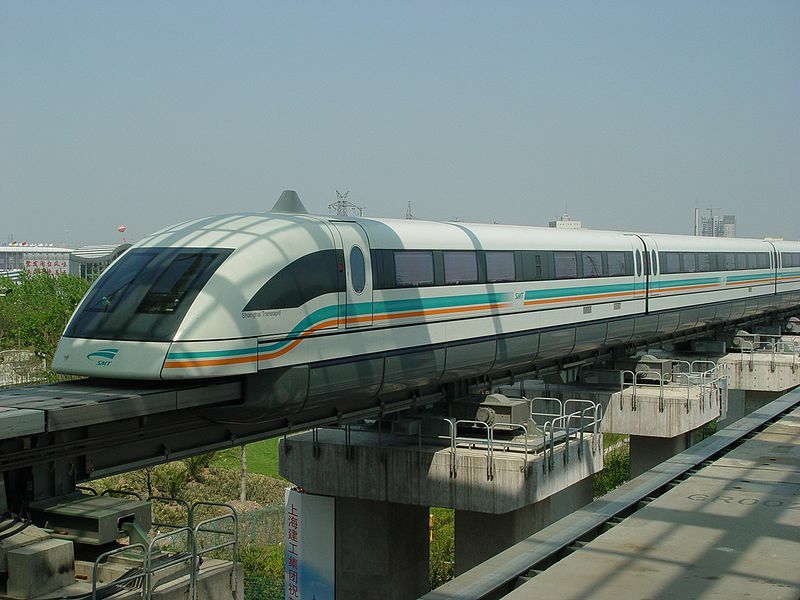 Maglev train is the only train in the world using magnetic levitation. So riding the Maglev may be quite a memorable experience. 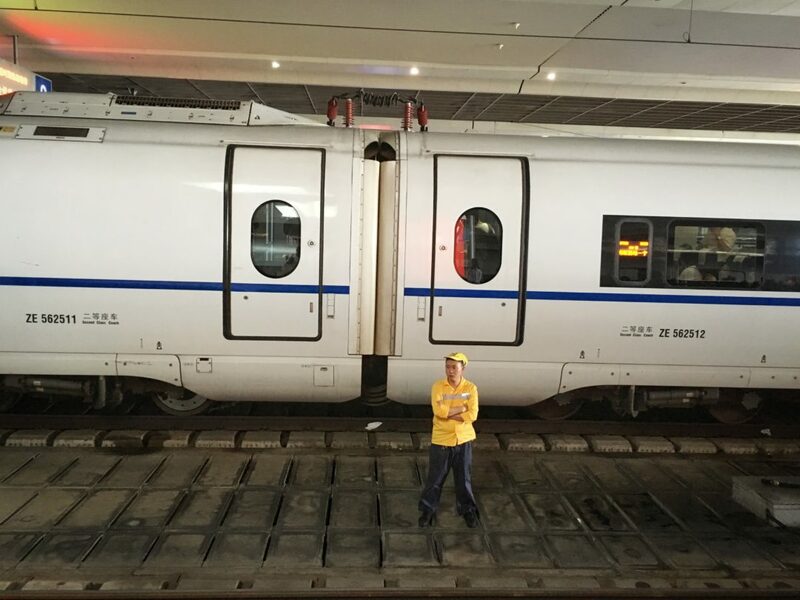 Using magnetic levitation technology, it does not touch the tracks and runs all its 30.5 km from the airport to city center in less than eight minutes, while hitting a maximum speed of 431 km/h. Line 2 was extended to the Pudong Airport in 2010. And now is linking the two airports on each of its ends. The bus system run 7/24 and it takes up to 90 min to the city center. If arriving during rush hour, consider taking the Metro to avoid congestion on the road. The most convenient but also the most expensive way to get to central Shanghai is by taxi, expect about an hour to get to the center of the city. There are taxi queues just outside both Terminals 1 and 2 on the first floor. Shanghai Railway Station- Shanghai’s oldest, located in Zhabei district, on the intersection of Metro Lines 1, 3 and 4. Some high-speed trains and trains to Hong Kong terminate here. In recent years many highways have been built, linking Shanghai to other major cities in the region. But driving is China it is really a challenge plus that international driving license it is not valid here. You will need to take a Chinese driving license. Shanghai Long-Distance Bus Terminal. 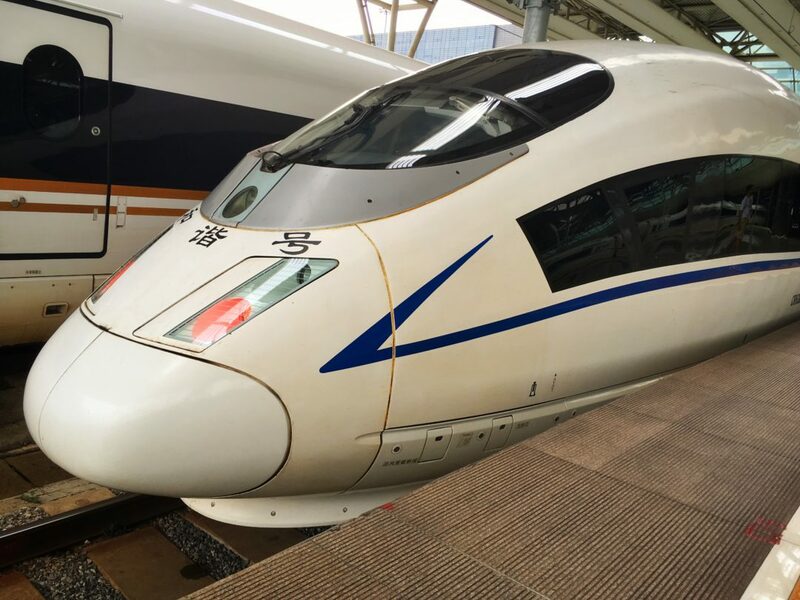 This is one of the largest and it serves most destinations in Jiangsu and Zhejiang provinces as well as some more remote cities, such as Beijing and Guangzhou. Distances between regions are huge so taking the bus it will take a long time. Shanghai Ferry Company. Once a week service from Shanghai to Osaka and vice versa and it takes two nights to reach each destination. 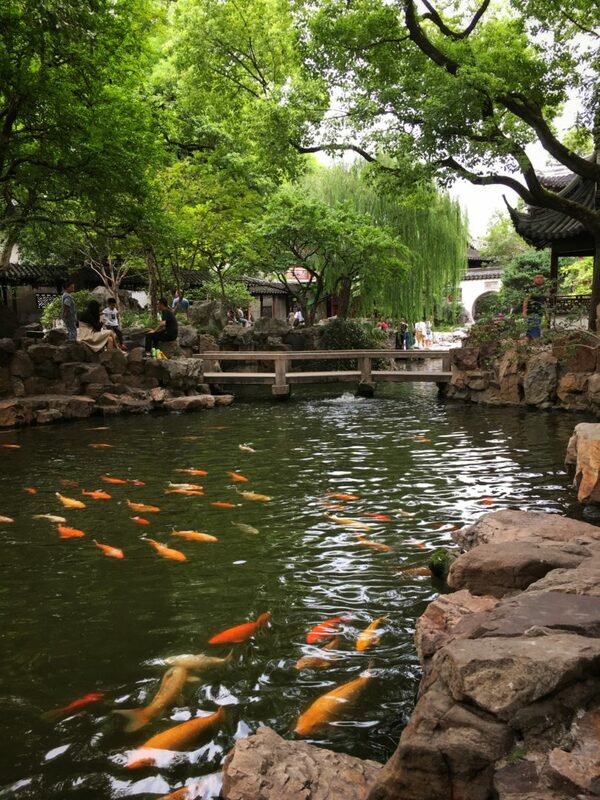 If you intend to stay in Shanghai for more than a few days, then the Shanghai Jiaotong Card is a must. You can load the card with money and use it in buses, the metro, Maglev, saving the hassle of buying tickets at each metro station and keeping change for buses and taxis. You can get these cards at any metro station, as well as some convenience stores like Alldays and KeDi Marts. 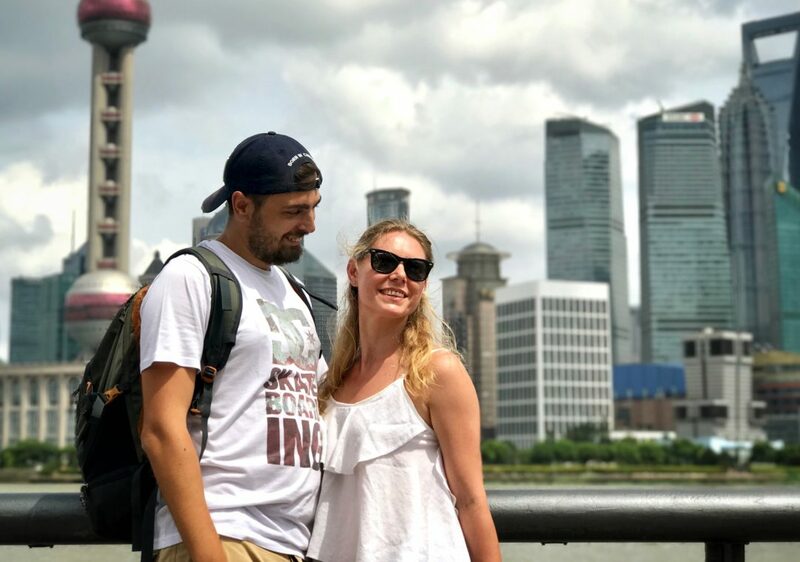 Shanghai is a good city for walking, especially in the older parts of the city such as The Bund, but don’t be fooled, Shanghai is a huge metropolis and it is not walkable. Distances are huge, so you will need to use other means of transportation at some point. While walking you have to pay attention to everything. Motorbikes and bicycles rarely use headlights and can come from any direction. Avoid unpredictable movements while walking and crossing streets: the drivers see you and predict your future location and they will bypass you. 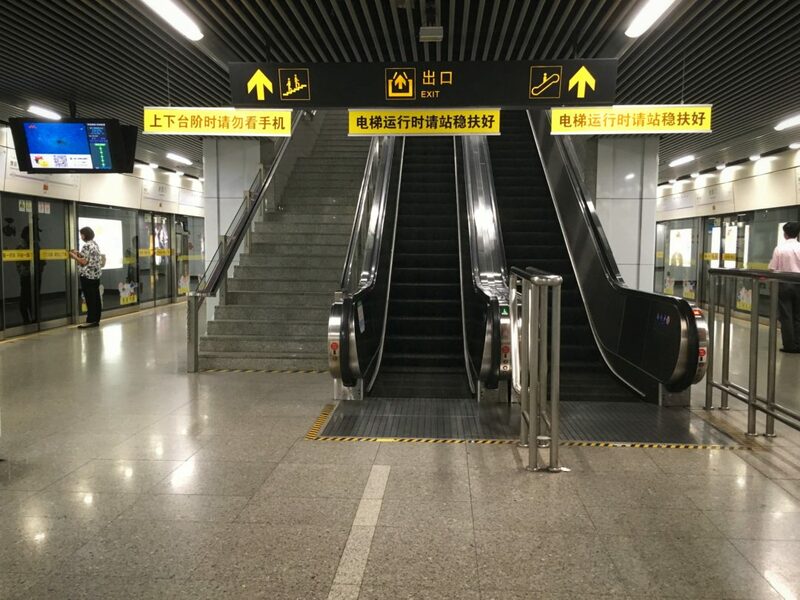 The fast-growing Shanghai Metro network has 14 lines with another 4 under construction. The Metro is fast, cheap, air conditioned and most signs and station arrival announcements are in bilingual in Mandarin and English, but the trains can get packed during rush hour. Fares range from 3-9 RMB depending on distance. Taxi is a good choice for transportation in the city, especially during off-peak hours. 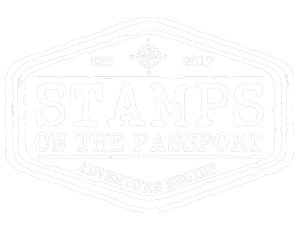 It is affordable, but try to get your destination in Chinese characters or available on a map as communication can be an issue. Most drivers do not speak English or any other foreign languages, so be sure to have the address of your destination written in Chinese to show the taxi driver. 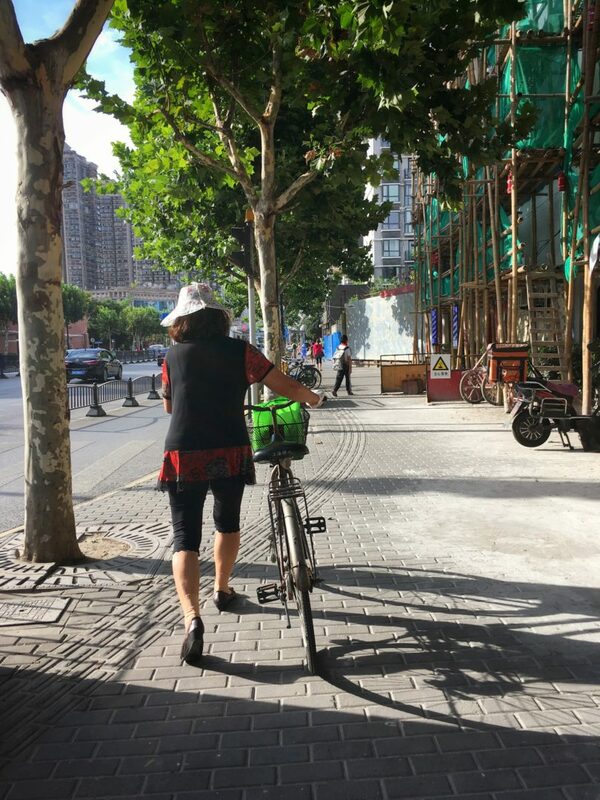 For locals, bicycles are slowly being eclipsed by electric scooters but they still remain an easy means of transportation for visitors. Beware of the driving habits of locals: the biggest vehicles have priority and a red light does not mean you are safe to cross the street. Bicycle theft is very common. Helmets are optional. The bus system is cheaper and much more extensive than the Metro. It is however slower in general, and all route information at bus stops is in Chinese. Once inside the bus, there are English announcements. 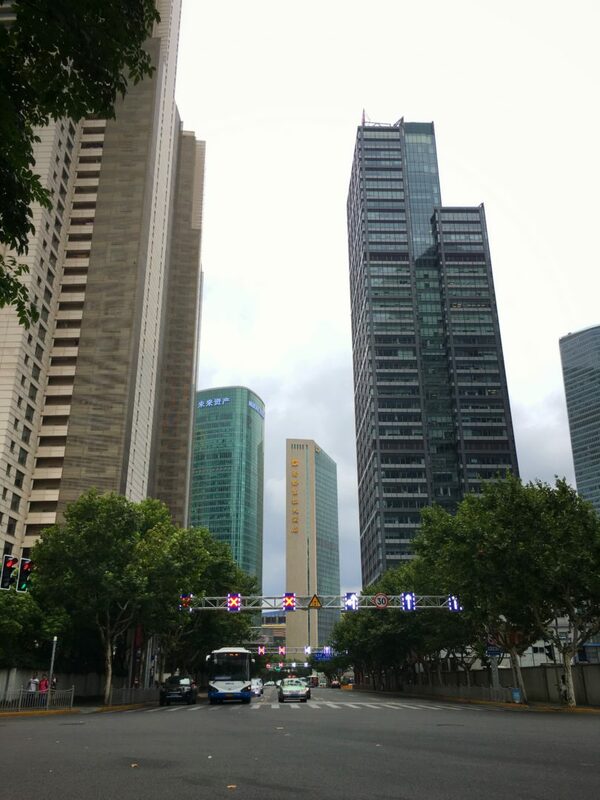 Shanghai is split in two by the Huangpu River. The most basic division of the area is Puxi, West of the river, versus Pudong, East of the river. 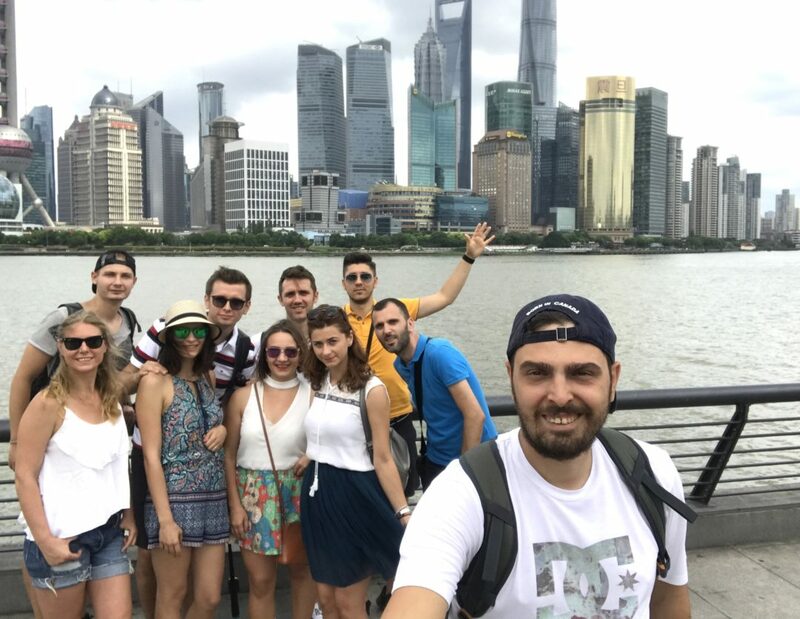 Accommodation in Shanghai can be rivaled by few cities in China, in terms of both variety and services. 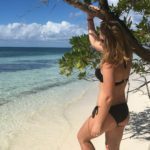 There are establishments for all types of travelers, from backpacker options for the weary to top of the line hotels and serviced apartments for those wishing to be spoiled. Puxi has both new and old hotels with class architectural styles and charm, some of them described in stories when Shanghai may have been the only place in China known to much of the rest of the world, while modern amenities commonly found in Pudong rival many hotels in Asia and beyond. So it is up to you to find a suitable accommodation for yourself. The colonial riverside of old Shanghai has dozens of historical buildings lining the Huangpu River, which once housed numerous foreign banks and trading houses. The riverfront walkway has recently undergone a major reconstruction and reopened to the public in March 2010. More things about it Here. 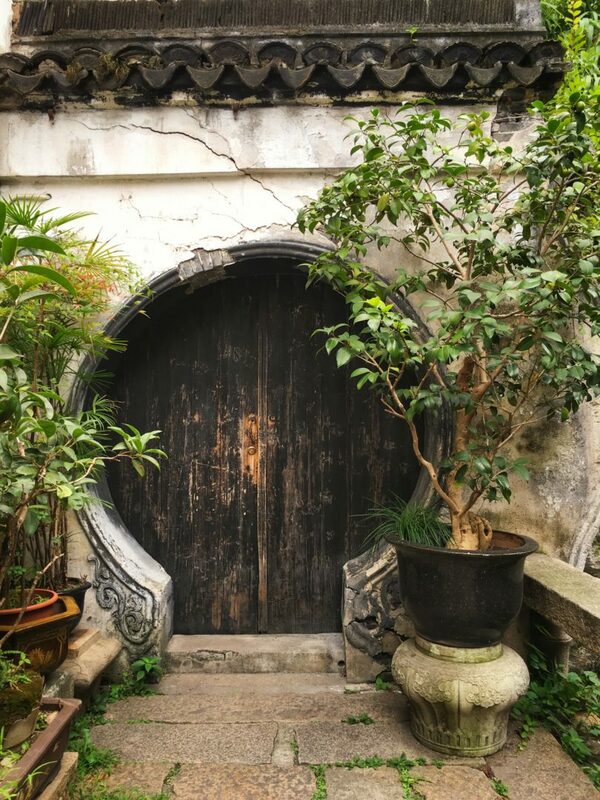 Not far from the Bund, Yuyuan Garden is the only surviving Ming Dynasty garden in Shanghai. 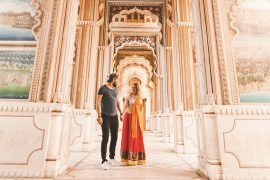 It has become a city highlight due to its beauty given by decorated bridges, colorful pagodas and intimate enclaves separated by “dragon walls” — partitions with dragon decorations on top. It is a place not to be missed while in Shanghai. More things about it Here. 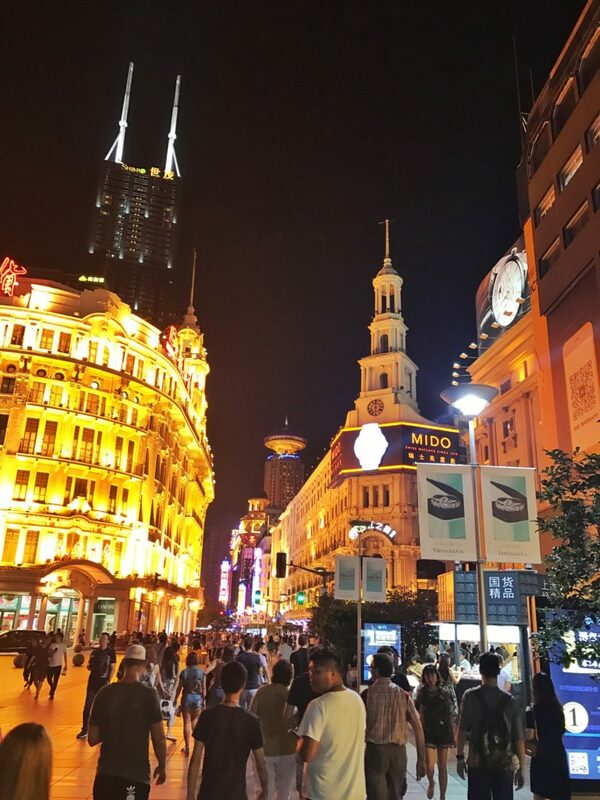 Nanjing Road is an equivalent of New York’s Fifth Avenue. It is quite interesting. Retailers from all over the world display their products on this street, but in a Chinese atmosphere. Tourists admire the different buildings with attractive architecture. 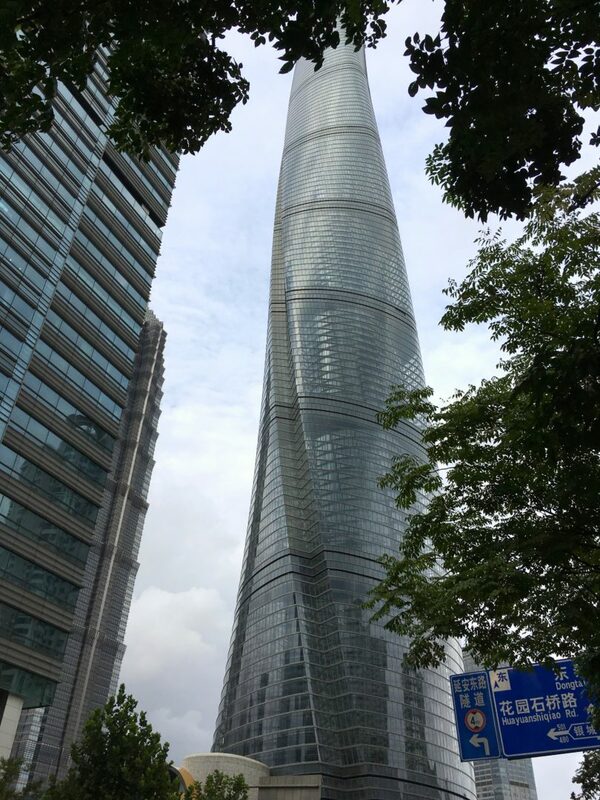 The fifth tallest building in the world competes with the Oriental Pearl TV Tower for greatest elevated views in the Shanghai metropolitan. 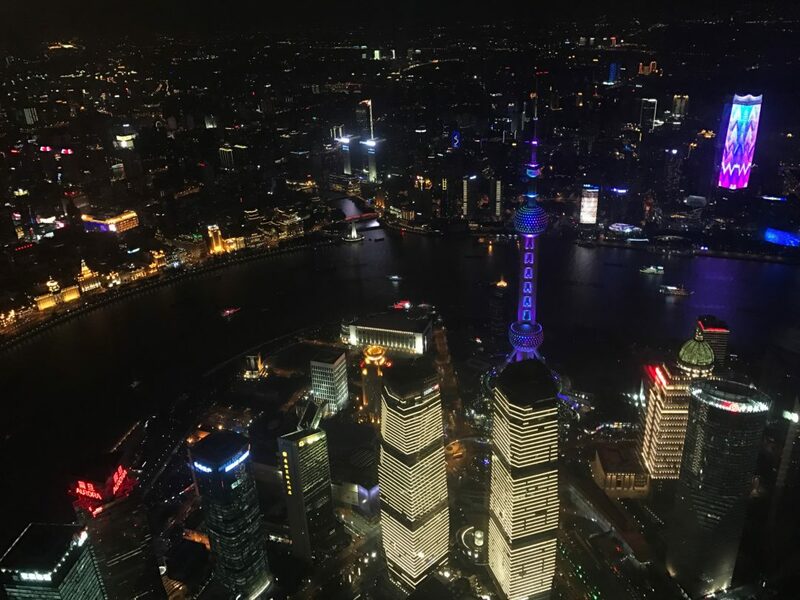 Although you can view the scenery from various floors, make sure to go to the world’s highest observatory — The Sky Walk — on the 100th floor where you can see the Chinese metropolis from 474m above the ground. To witnessing sunset/sunrise from this observatory is recommended and also the night view is incredible. A ride in the Maglev train from Pudong Airport to the city center is a perfect way to feel the super-modern Shanghai. At 431 km/h (twice the speed of a theme park roller coaster), this magnetically-levitated train covers 30 km in only 8 minutes, though you hardly feel you’re moving! Visit the Maglev Museum to understand the engineering feat and its history of the only magnetic levitation train in the world. 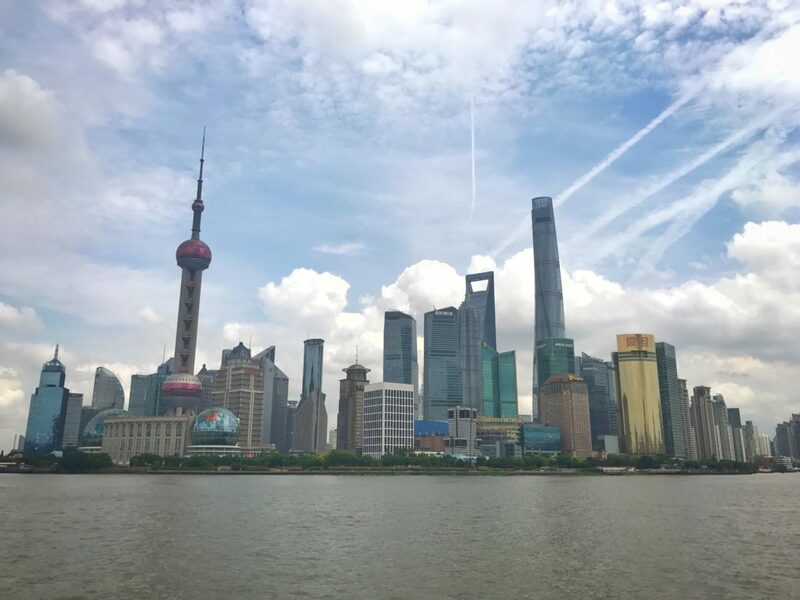 Like many cities, Shanghai looks like a completely different city from the water, so it’s well worth taking a cruise along the Huangpu River. 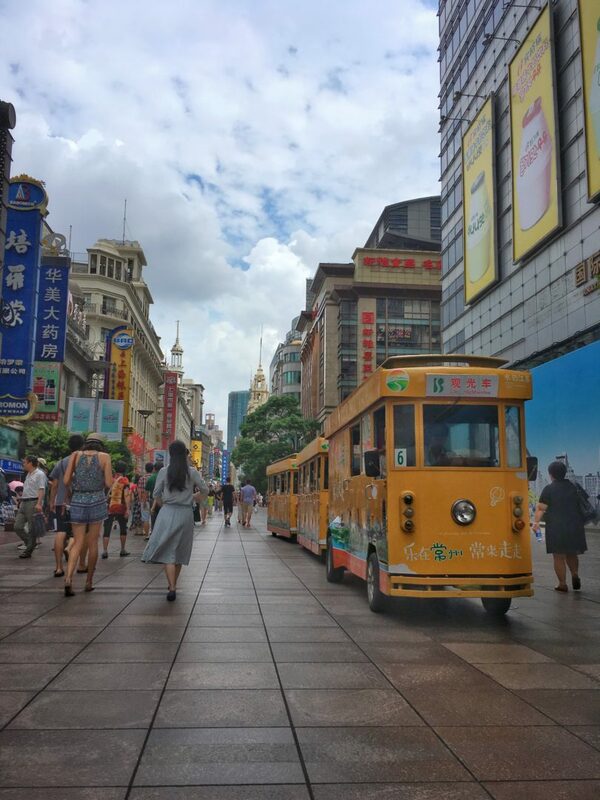 There are daytime guided tours when you can learn about the city’s trading history and the buildings along the waterfront: as much as one-third of all China’s annual trade is conducted here. But after dark Shanghai has a different look entirely, a little quieter and somehow more romantic. 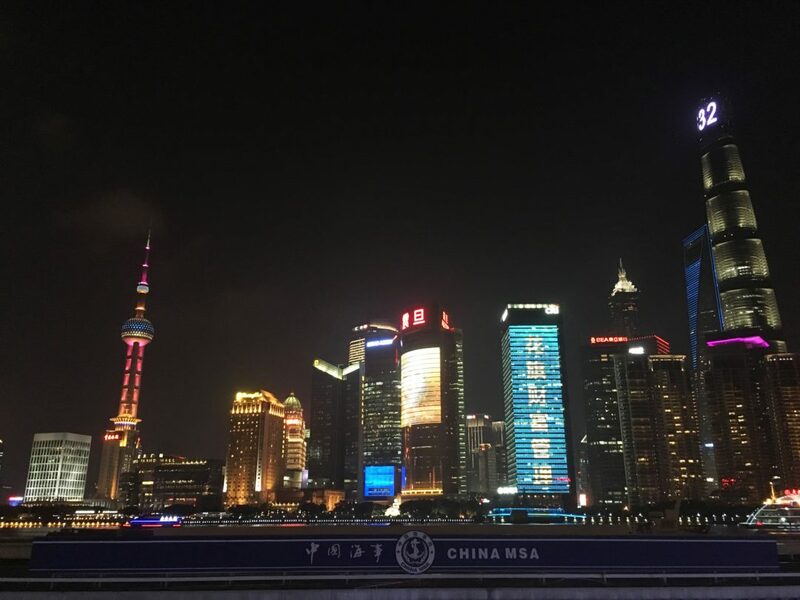 Shanghai Huangpu River Cruise Company does night cruises, and there are also a number of boat companies offering dinner cruises, so you can dine in style as the city passes slowly by the window. After China lost the First Opium War in 1842. Shanghai was one of five cities which were opened to trade as treaty Ports. Eight nations — Germany, France, Italy, Russia, Austria-Hungary, Japan, the United States and the United Kingdom — were granted concessions in Shanghai, areas that they controlled and where Chinese law did not apply. Most of these were jointly administered as the “International Settlement”, but the French ran their Concession separately. The French Concession was a permitted area and has preserved its cosmopolitan atmosphere and 1920s architecture. This is the cool part of town. Come here for galleries and artisan delicatessens, one-off fashion boutiques and outdoor performance spaces. 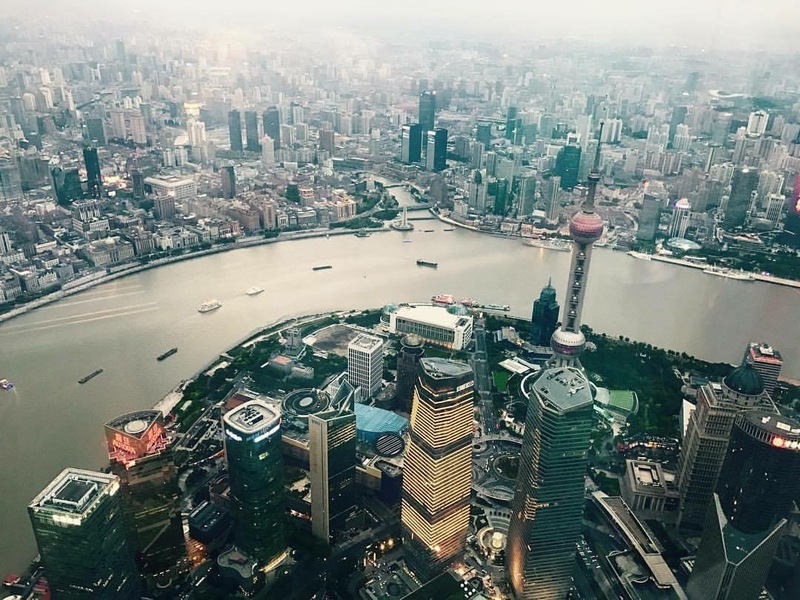 Shanghai has always been a cosmopolitan and sophisticated city. The rich Yangtze Delta is a natural garden for Chinese vegetables as well as French beans, peas, cabbage, and a range of fruits. Shanghai cuisine is rich, oily, sweet and luscious. They use a lot of soy sauce, sugar and a touch of vinegar. Shaoxing wine, which tastes like sherry, is fermented from glutinous rice and used extensively in cooking and drunk warm. The Shanghainese repertoire includes a number of “drunken dishes,” where food is marinated in Shaoxing wine. 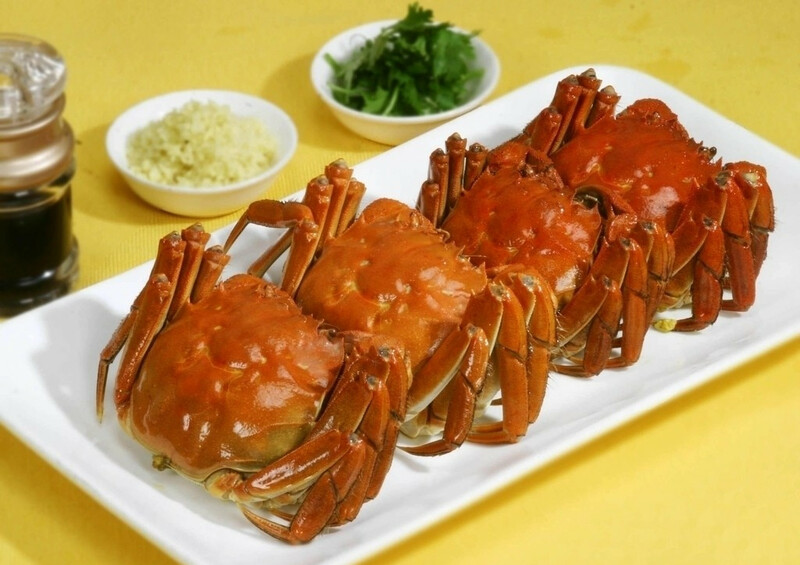 The Chinese mitten crab is a crab found in the Yangcheng Lake. It is normally consumed during winter (September to November every year). The crabs are tied with ropes/strings, placed in bamboo containers, steamed and served. Don’t be intimated if you don’t know how to eat this delicacy, ask the waitstaff at the restaurant for help. Of all the drunken varieties of dishes in Shanghai, the cold dish of drunken chicken is the most famous one. After the chicken is steamed and chopped into pieces, it then marinates overnight in a bowl of punishingly strong white spirit or other hard liquors. Served chilled, the poultry is a heady, salty delight. An ideal menu for those who like highly spiced food. The Smoked Fish Slices (fresh fish marinated and spiced to taste like smoked fish) make a delicious, unusual meal. A notable Shanghai delicacy is xiaolongbao, sometimes known as Shanghai dumplings. 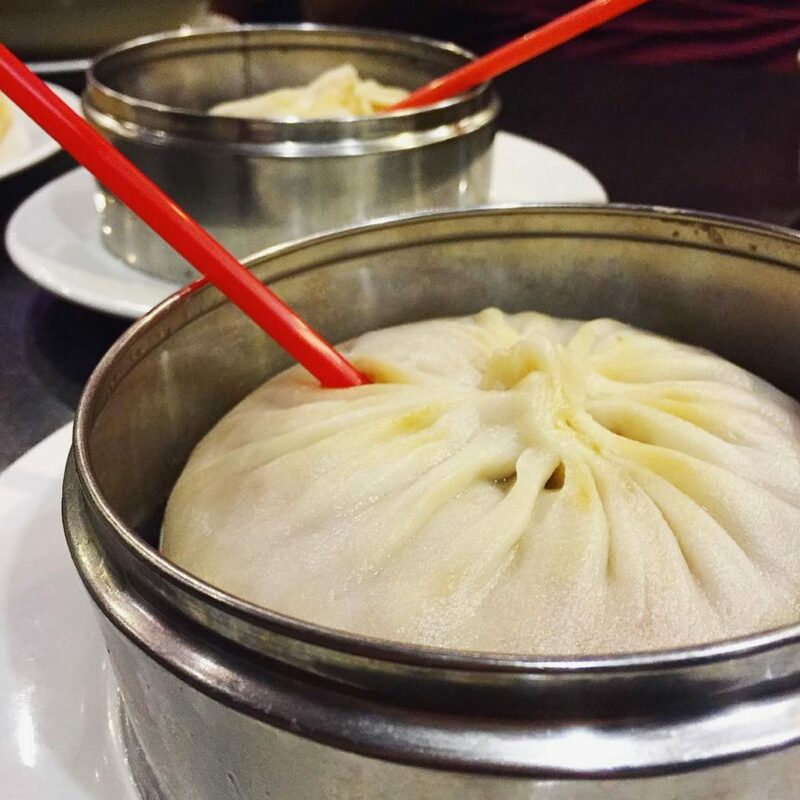 Xiaolongbao is a type of steamed bun that is filled with pork (most commonly found) or minced crab and soup. Although it appears delicate, a good xiaolongbao is able to hold in the soup until it is bitten. 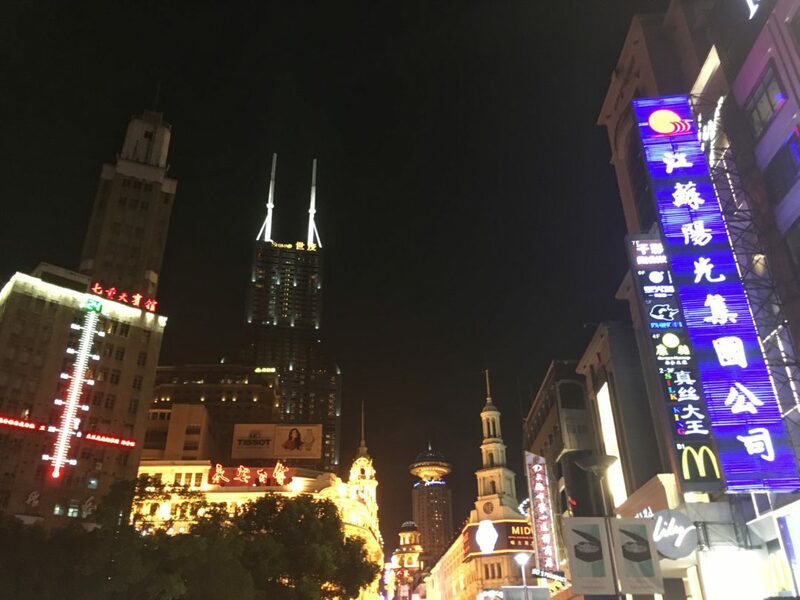 Shanghai is a fairly safe city and violent crime is rare, and streets are quite safe to walk about at night. Beware of the pick-pockets groups on the main shopping streets. Make sure your bags are in view at all times.